Saw these on Facebook. Anyone with a Dollar general nearby can snag these for me? Would love x2 of each but need the mummies the most! Interests:80s/90s Plastic fantasy and sci fi figuers in toy soldier scale. ARCO, Agglo, DFC, Fleetwood, Gordy, HG Toys, Helm Toy, Hing Fat, Ja Ru, Kids Goods, Toys N' Things, Toyco, etc. 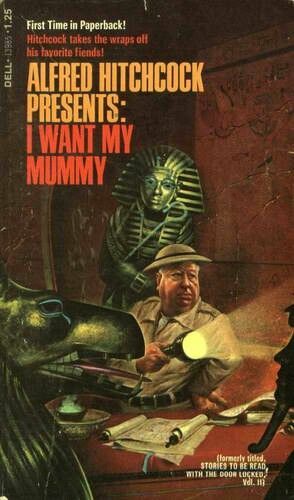 Me too, I want those mummies. Ill check my local Dollar General on Sunday. I'll hit a few DGs this weekend. If the interest is there, I'll go ahead and grab a mixed case. Just looked at a Dollar General in my town, but no dice. Nothing in the toy section or the Halloween section. There’s another store not too far away that I’ll try to check soon. We've got about a half dozen DGs within a few miles, so here's hoping! I just cleaned out the *other* Dollar General in my town. They were just putting out their Halloween stuff and I grabbed the three skeleton armies and three mummy armies they had. I’m keeping one of the skeleton packs, but the rest are up for grabs. Please call dibs here. These impressed me so much @ $1 each that I went ahead and grabbed the whole display box. See how well they pair w/the mummies & skellies? The spider and scorpion are amazing!!! I need to look for them!! "Dad, it's not scary. Spiders don't have skeletons. Don't buy it." I bought spares with trading in mind, if you're into it. Are these at dollar general or dollar tree??? I've found them at both chains. DT seems to prefer the original crow/rat assortment from last year, while DG favors the scorpion/spider/frog wave, but I've seen various sculpts at both places. I really hope this becomes a regular thing each season....can't wait for bat, lizard, turtle, centipede, etc. Found Spiders at A Dollar Tree but no scorpions! Also my skeletons and mummies from Bad Larry came today!! Great day!! Edited by Defzombie, 04 September 2018 - 04:23 PM. Edited by Defzombie, 08 September 2018 - 10:30 PM. Hahahhaha but sometimes we Wal Mart has great stuff.. I also saw a skeletal bat and other Large skeletal creatures at Target. Some are quite pricy. Pose Skeletons! Neat stuff BadLarry! Check out this beauty from BigLots.....they seem to ape the 'Pose' skeletons, but they are 3X larger! Nice soft material & ample joints. Scored this LARGE bin of older playset figures today and thought of your avatar....looks to be mainly 60s/70s stuff, maybe a few pieces even a bit earlier. TimMee, Marx, etc. Just breathing in that 'classic aroma' (IE: attic & basement musk) before soaking them in a hot soap bath, heh. Shoot I haven't had a find like that in quite some time!! Let me know if you're interested in trading/selling.